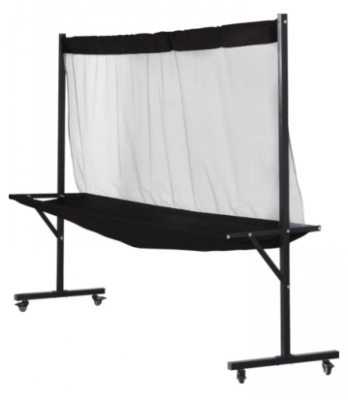 Large collection net with metal frame and 4 wheels for ease of movement. The essential accessory when doing multi ball training or service training. Also great with table tennis robot that do not have an integrated ball catch net.